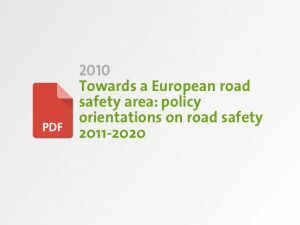 The ERTRAC Safe Road Transport Roadmap is entitled Towards Vision Zero: Roads without Victims. The road map covers all elements of the road transport system, all road transport modes and all phases from preventive to post-crash safety. The ERTRAC Connected Automated Driving Roadmap aims to provide a joint stakeholders view on the development of Connected Automated Driving in Europe. The roadmap starts with common definitions of automation levels and systems, and then identifies the challenges for the implementation of higher levels of automated driving functions. Development paths are provided for three different categories of vehicles. 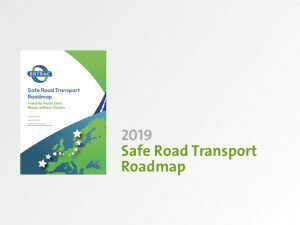 The EU Strategic Action Plan on Road Safety is an Annex to European Commission communication, COM(2018) 293 final Europe on the move: Sustainable Mobility for Europe: safe, connected and clean. It outlines specific actions envisaged under the current Commission mandate, i.e. until end Q3 2019. The actions are set out with a specific target time frame. It cannot of course prejudge action for the next Commission but instead sets out additional envisaged actions for the post 2019 period indicatively. 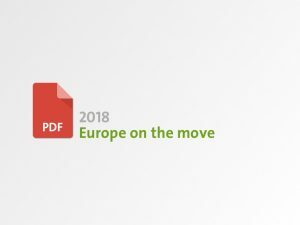 Europe on the Move Sustainable Mobility for Europe: Safe, Connected and Clean (COM(2018) 293 final) is the third and last “Europe on the Move” package and delivers on the new industrial policy strategy of September 2017. It is designed to complete the process of enabling Europe to reap the full benefits of the modernisation of mobility. To do so, it is essential that tomorrow’s mobility system is safe, clean and efficient for all EU citizens. The Transport Ministers of the Member States of the European Union, meeting in Valletta, Malta on 29 March 2017, agreed on what became known as the Valetta Declaration on Road Safety and endorsed by the Council of the European Union. The Transport Ministers reconfirm their commitment to improving road safety and call upon Member States and the European Commission to undertake action. This EU document aimes to provide a general governance framework and challenging objectives which should guide national or local strategies. 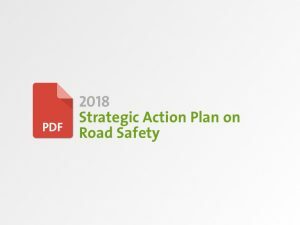 The proposed policy orientations took fully account of the results obtained during the 3rd road safety action programme 2001-2010, showing that in spite of important progress made on road safety, efforts needed to be continued and further strengthened. 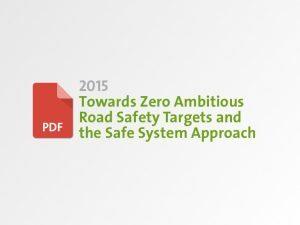 This report provides an overview of road safety performance for 32 countries. 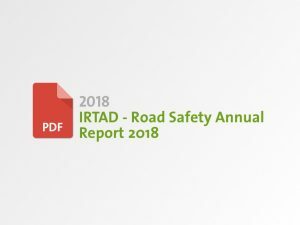 It outlines the most recent road safety developments across IRTAD countries and comparative data for the main road safety indicators. It also offers detailed analysis by road user, age group and type of road, and describes the road safety strategies and targets in place and information on recent trends in speeding, drink-driving and other aspects of road user behaviour. The report highlights that the number of annual road traffic deaths has reached 1.35 million. burden is disproportionately borne by pedestrians, cyclists and motorcyclists, in particular those living in developing countries. The report suggests that the price paid for mobility is too high, especially because proven measures exist. Drastic action is needed to put these measures in place to meet any future global target that might be set and save lives. The report reviews the state of the art in improving road safety performance and examines the role of targets in raising the level of ambition and achieving effective implementation of road safety policies. It highlights the institutional management changes required in many countries to implement effective interventions and underlines the economic case for road safety investment. The 2030 Agenda for Sustainable Development, adopted by all United Nations Member States in 2015, provides a shared blueprint for peace and prosperity for people and the planet, now and into the future. 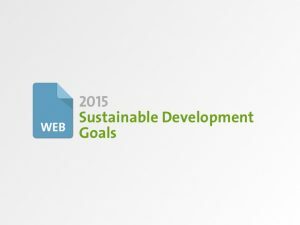 At its heart are the 17 Sustainable Development Goals (SDGs), which are an urgent call for action by all countries – developed and developing – in a global partnership. SDG3 and SDG11 both have targets related to safe (road) transport. 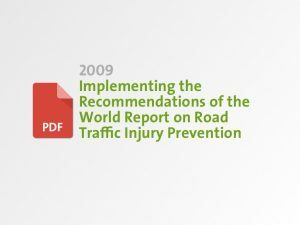 Following the WHO’s World report on road traffic injury prevention from 2004, this report provides guidelines for countries for conducting Road Safety Management Capacity Reviews and the specifications of Lead Agency reforms, investment strategies and safe system projects. As such the report provides a pragmatic approach designed to overcome institutional capacity barriers and achieve sustainable results. 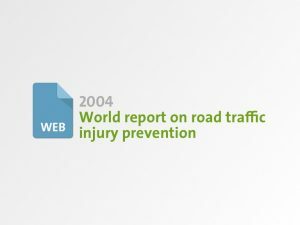 In 2004, worldwide, an estimated 1.2 million people were killed in road crashes each year and as many as 50 million were injured. Projections indicate that these figures will increase by about 65% over the next 20 years unless there is new commitment to prevention. 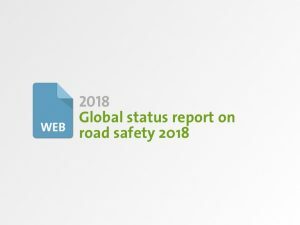 This joint WHO and World Bank report underscores their concern that unsafe road traffic systems are seriously harming global public health and development. It contends that the level of road traffic injury is unacceptable and that it is largely avoidable.